"It is so refreshing to play in an intimate setting for the true music fans, cutting out the often-seedy middleman. In fact, I want to play a lot more of these gigs in the future. It really feels like the right way to go." 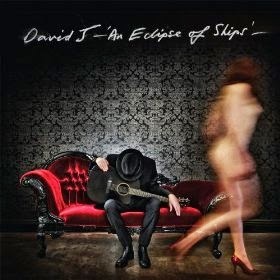 David J will be back on the road in September to perform intimate house party gigs in 11 different cities. Fans interested in hosting a house party on one of the stops on the tour can host a ticketed show or pay a flat fee and invite guests. Info on how to get involved is posted here. Watch video of David J performing an acoustic version of "No New Tale To Tell" from the Springfield, Utah gig below.